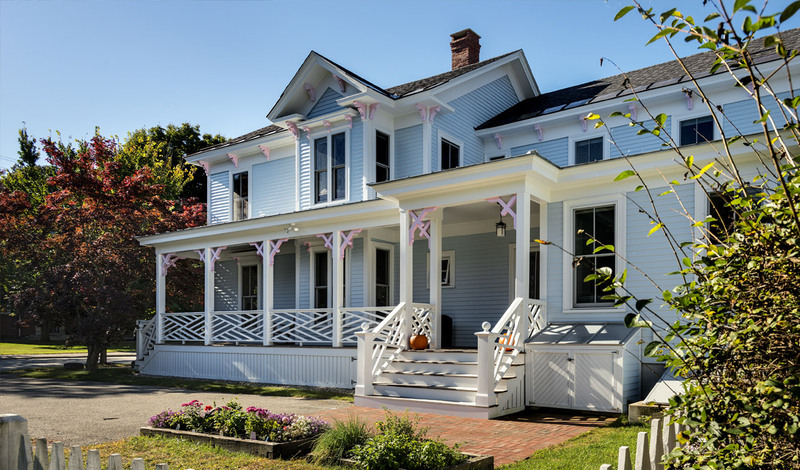 Located within walking distance of historic downtown Exeter, New Hampshire, this 100+ year old residence was originally constructed in 1885. The homeowners loved the character of their home but wanted to add architectural elements, improve the flow of the first floor rooms, let in more natural light, make the spaces more conducive to family life and reconfigure the outdated kitchen. 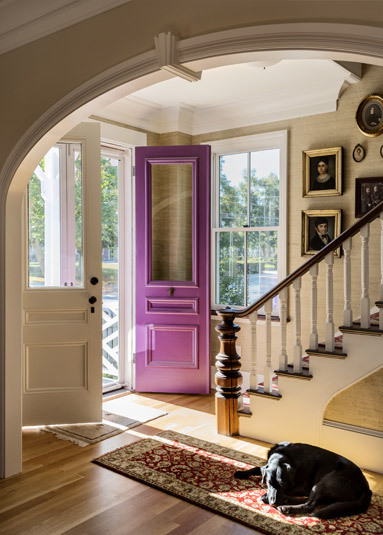 To fulfill their requirements, the exterior detailing was refurbished, the porch railing replaced to fit within the context of the original design and windows added for increased light. In the interior, a wood-burning fireplace was added in the living room as a focal point and gathering spot. 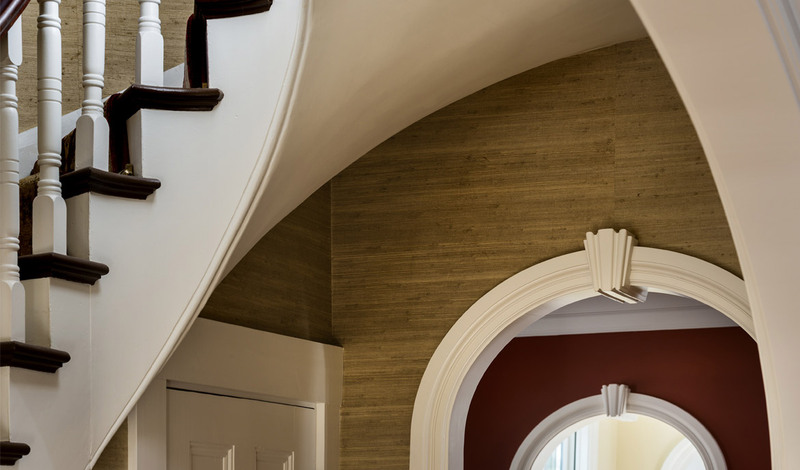 Large archways replaced existing walls to allow more natural light into the interior spaces and other archways were added to help define spaces. 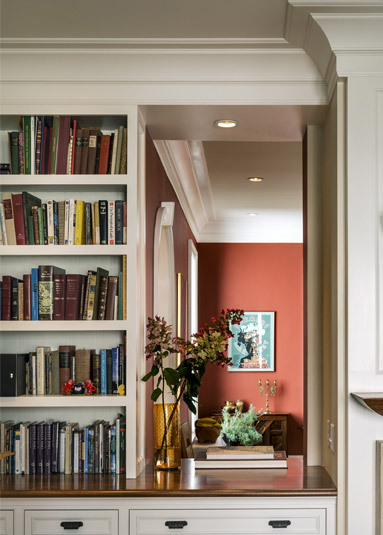 An under-utilized front parlor was repurposed as a study area for the homeowners’ children and equipped with built-in desks and bookshelves. 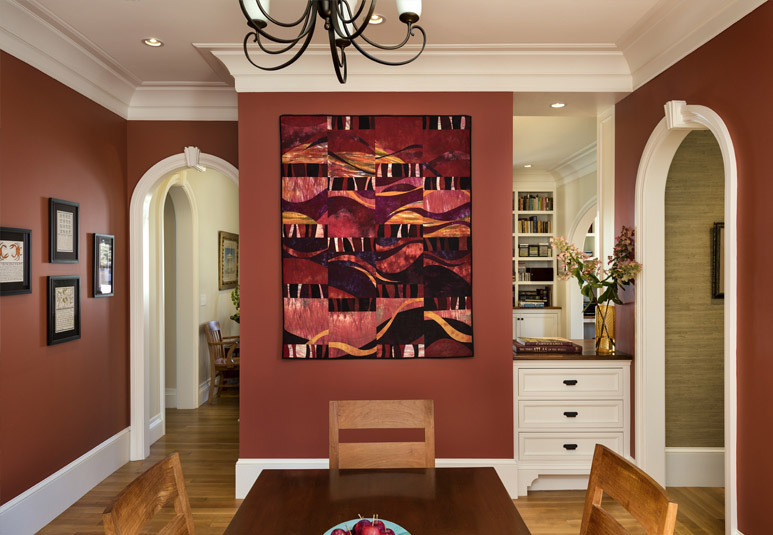 Strategic lighting and built-in shelving throughout compliment the owners’ art collection while the crown and base trim work help tie the spaces together with a common thread. 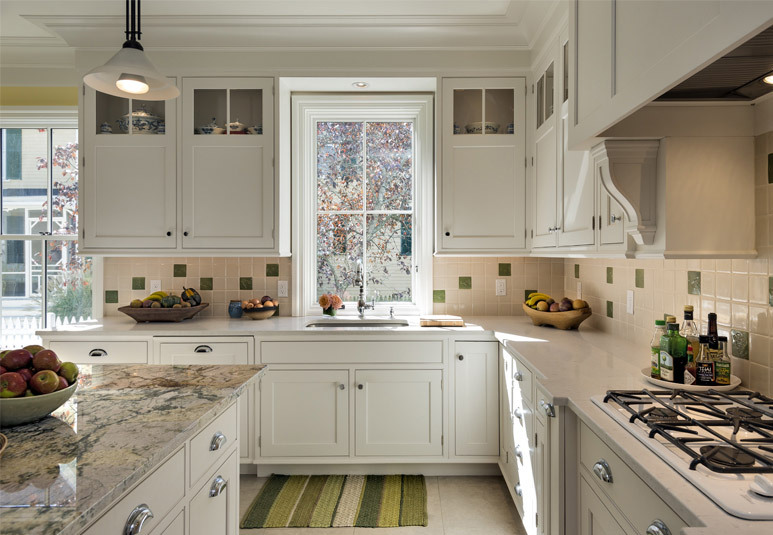 Located in the rear of the home, the existing kitchen was completely replaced and architectural details were utilized in this new space to tie the kitchen stylistically into the other rooms. Reconfigured with ample storage and preparation areas, the kitchen now offers a built-in desk and an island for casual seating. Near the kitchen for convenience, a side entry was reconfigured and enlarged, creating a new mudroom and adjacent 3/4 bath. Renewable materials such as oak and mahogany add to the casual comfort of the spaces while a solar domestic hot water system and other sustainable technologies help supplement energy costs.